Success for an industrial engineer has always had roots in the search for dependability and function at an affordable cost. Ethernet always held out the promise of high function in most regards, but determinism was missing. Hardware that could survive industrial settings was also lacking. The technology, hardware, software and volume that have made Industrial Ethernet affordable and useful is a relatively recent development. Though this was effective, it was years before it was practical in industrial settings. Switches were costly, and they were reserved for special applications. There was the problem of the right equipment for industrial settings. Non-industrial strength switches required special enclosures, mounting, shelves and power supplies that weren’t always possible. Vibration, heat and other hazards were also problems. Because industrial duty Ethernet switches are now affordable and available, these limitations are resolved. As a result, industrial Ethernet networks are becoming standard for many installations. Temperatures typical of industrial settings. These range from-40º to 70ºC (-40°F to 158°F). Protection ratings of IP30 and up to protect the equipment from industrial debris. 12 to 48 VDC Redundant Power Inputs are available on many models, to ensure stability. DIN Rail and Panel Mount cases are used to avoid the hassle of adding special shelving and strapping down commercial equipment. When an office network goes down, people complain. Machines don’t, so many industrial managed switches feature an alarm relay and email alerts to notify the network administrator in the event of a network malfunction. Mean Time Between Failures (MBTF) is usually enhanced for industrial Ethernet switches – to 300,000 hours (34 years!) is not unusual – so material failures are rare events. Managed switches may be programmed to distribute data to Virtual Local Area Networks, or VLANs. VLANS are subgroups of data interfaces, created by programming instead of wired connections. With a Tag VLAN, the VLAN is assigned to a specific port. All users of the port must be members of the same VLAN. VLANs simplify network management. A single connection can be used to manage multiple VLANs – physical location is irrelevant. 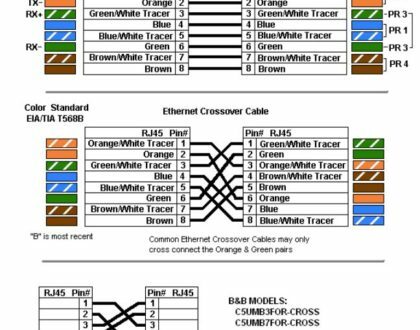 Accidental crossover of data from one VLAN to another is simply not possible. Plus, reconfiguring a VLAN is an easy software solution, versus changing wired connections on a regular LAN. Redundancy, where mission-critical components and functions are duplicated, is the surest path to system reliability. But full redundancy may be difficult to justify except in critical applications (a nuclear power plant or process involving large quantities of high hazard chemicals would certainly qualify as critical). A practical solution that provides a high degree of redundancy is redundant ring technology using managed Ethernet switches. One leg of the ring is disabled until a fault develops elsewhere in the ring. When that happens, the disabled leg (backup path) is enabled and communication proceeds. For link failure, the redundant ring group is self-healing, and recovery proceeds without human intervention. If a ring group switch fails, only the devices attached to that switch would be cut off from the network. The original redundant ring technology, Spanning Tree Protocol or STP, allowed ring recovery times of 30 seconds, too slow for many industrial applications. With Rapid STP (RSTP), recovery times dropped to 3 seconds, still not fast enough for some processes. Many switches now use proprietary technology for recovery in 300 milliseconds or less, fast enough for demanding applications. Port mirroring is another advanced feature of intelligent switches. It sends data from one switch port (even the data for an entire VLAN if it’s on one port) to be sent to a monitoring port at another switch. It’s used for detecting intrusions or network diagnostics. Internet Group Management Protocol or IGMP capability allows a switch to “listen in” (commonly called IGMP Snooping) on network multicasts. The switch then delivers traffic to ports where the attached device signals it’s available to listen to the broadcast. 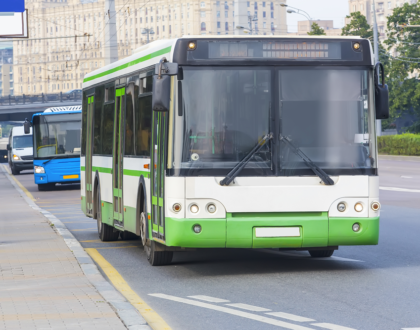 This saves downstream devices from dealing with unneeded traffic. An administrator uses Simplified Network Management Protocol, or SNMP, to monitor and configure PC’s, switches and other devices. This is important as the number of devices increases, to record and analyze network traffic, notify the network manager of network problems in real time and to speed and simplify corrections. An advantage of Ethernet based devices, tools or programs is web access to manage network operations, configuration and security. 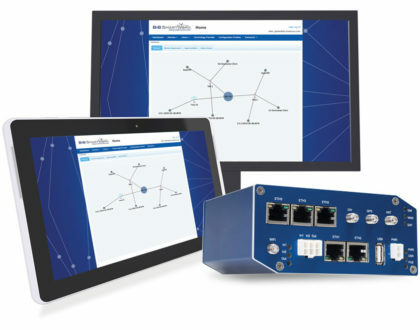 Managed switches have this capability, and efficiency and stability are facilitated by remote web access. The “silver bullet” of security is for only necessary communication to flow through a network, when it’s needed and only with devices that need it. Managed switches are an important part of the solution, as they create and manage VLANs, monitor problem traffic through port mirroring, and enable other security related measures. For example, switches with Media Access Control (MAC) ID filtering, port locking and password protection help prevent tampering and trespassing on the network. Also, if a network is overloaded from device or operating errors, rate limiting or VLANs created by managed switches can limit or isolate the problem. Current prices per port make the decision to use an industrial switch easy. As for choosing between managed and unmanaged switches, it’s a simple calculation. The more complex or likely a network will grow in the future, the more managed switches are needed. The momentum of Ethernet technology and its successful application in industrial settings suggests that adoption at the highest affordable level of function is a necessity. Ethernet can transmit data from a variety of older technologies, and has effectively extended the life of these technologies into the foreseeable future. It’s also leading edge in its potential for speed and applications. History suggests Ethernet will long be the standard, meeting the demands of new technologies. Managed switches will continue to be the essential components of advanced networks. B+B SmartWorx offers a full line of managed and unmanaged Industrial Ethernet Switches.